Obese patients are at risk for increased radiation exposure due to the increase in radiation needed to penetrate tissue, the risk for repeat exams due to difficult positioning and technique, an incompatibility with existing equipment, and because obese patients suffer from health conditions which require radiologic procedures more than the average public. A 57 year old man who weighed 490 lb (223 kg). Chest radiograph shows limited diagnostic quality image with poor X-ray penetration and poor visualization of lung bases. Obesity in the United States has been increasingly cited as a major health issue in recent decades. While many industrialized countries have experienced similar increases, obesity rates in the United States are among the highest in the world. The United States has the second highest rate of obesity for large countries, exceeded only by Mexico. From 13% obesity in 1962, estimates have steadily increased, reaching 19.4% in 1997, 24.5% in 2004, 26.6% in 2007, and 33.8% (adults) and 17% (children) in 2008. In 2010, the Centers for Disease Control and Prevention (CDC) reported higher numbers once more, counting 35.7% of American adults as obese, and 17% of American children. Obesity is a medical condition in which excess body fat has accumulated to the extent that it may have an adverse effect on health, leading to reduced life expectancy and/or increased health problems. People are considered obese when their body mass index (BMI), a measurement obtained by dividing a person’s weight in kilograms by the square of the person’s height in meters, exceeds 30 kg/m2. Imaging starts to become difficult for patients 250 lbs. and over, but hospitals are now routinely seeing patients in excess of 300lbs. Obese patients present many unique challenges to health care facilities: It can be difficult and sometimes dangerous to transport them within the facility on wheelchairs and stretchers. Occasionally they won’t fit on hospital or surgical beds. Obesity limits the ability to acquire and perform imaging examinations and interventions. Table weight limits and gantry diameter limits present physical limitations in the ability to accommodate them for CT, MRI, or fluoroscopy. Large body habitus also degrades image quality, making it difficult or impossible to obtain adequate images for clinical interpretation. 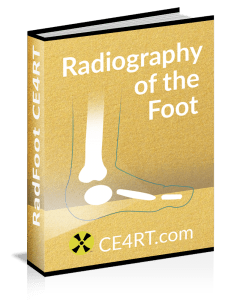 Image quality on plain radiographs and fluoroscopy is limited by attenuation and increased photon scatter as the beam penetrates through larger patients. Raising the x-ray tube voltage and current increases the penetration through excess tissue but reduces image contrast. Increasing exposure time can also improve image quality, although it can cause motion artifact. 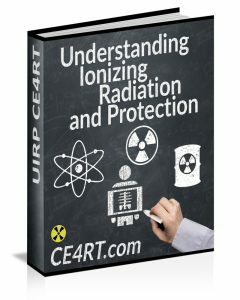 However, increasing tube current or exposure time increases the radiation dose to the patient. In extremely obese patients, much of the radiation is absorbed by excess subcutaneous fat and a recent phantom study from MIT showed that radiation dose can be minimized by positioning the patient so that the thinnest layer of fat is closest to the image receptor. In addition scatter can be reduced with tight collimation and by using a grid of alternating radiopaque and radiolucent strips to avoid detection of scattered photons, which are typically not directed perpendicular to the grid. In mammography, there are numerous challenges to the proper positioning necessary to obtain high quality images. Breast tissue is very mobile and large breasts can easily be distorted by twisting or rolling, making it difficult to accurately localize lesions for diagnostic views. Breast folds can be a major problem, and additional views may be necessary to eliminate them. Mosaic or tile imaging may be needed to obtain adequate compression and/or to image all breast tissue. Small breasts may wrap around laterally if the woman is obese and require additional views. When the table can’t support the patient’s weight for imaging procedures, one workaround is to attempt to do them with the patient standing. However vendors of imaging equipment are beginning to adjust with modifications that include higher table weights, wider scanner bores, and other features that make scanning obese patients more practical. Imaging facilities are also developing new tactics and imaging parameters for handling the new supersized generation of patients. The industry standard for fluoroscopy table weight limit is 350 lbs. and the aperture opening is 45 cm (19 inches). Hospitals are now purchasing fluoroscopy equipment that can accommodate patients up to 550 lbs. and have aperture openings of 112 cm (48 inches). The industry standard weight limit for CT tables is 450 lbs. The gantry diameter limit is 70 cm. There are now CT units that can accommodate patients up to 500 lbs. and have an 80 cm diameter aperture. In addition to physical constraints of table weight and gantry diameter, CT image quality can be compromised in obese patients by X-ray attenuation resulting in photon starvation. Increasing the tube voltage and current can improve image quality. However it also increases the radiation dose in obese patients. Newly adopted image reconstruction algorithms are now being used to improve the image quality at a lower radiation dose. For CT, an increase in the kVp and mAs, and decrease in the gantry rotation speed can sometimes help. The field of view (FOV) for image reconstruction is smaller than the aperture. Therefore, if the patient is too big, truncation artifacts can appear as bright edges on the image. These can be minimized by using specialized software that allows FOV extrapolation. Although there are table weight limits for nuclear imaging, many gamma cameras are portable and the patient can be imaged while on a stretcher. However, image quality is limited in obese patients due to absorption and photon scattering, especially for lower energy isotopes. Therefore, 99mTc, which emits higher energy photons than 201T-thallium, is likely to provide higher quality images in obese patients. Even these images may be of low quality because half of the photons emitted by 99mTc are attenuated by 4-5 cm of soft tissue, so that an additional 10cm of soft tissue will cause loss of 75% of the emitted photons. This limitation in quality is especially problematic for myocardial perfusion SPECT, since it is difficult to know whether a drop in photons detected is due to a soft tissue attenuation artifact or myocardial ischemia. This can be a source of real confusion in obese patients, who are more likely to have coronary disease than non-obese patients but are also more likely to have soft tissue attenuation artifacts. The quality of PET images is also lower in obese patients because of photon scattering and increased photon attenuation in a larger body mass. Moreover, it may not be possible to give an optimal dose of isotope. An MIT study from 2009 concludes that effective doses from radiographic examinations in the extremely obese can exceed 100 mSv from only a small number of abdominal examinations and should be minimized to the extent possible and monitored. Exponential dose increases for increased subcutaneous fat thicknesses can be reduced substantially by positioning the patient so that the thinnest fat layer (anterior or posterior) is closest to the image receptor. Increasing the tube voltage also reduces the dose-but to a much smaller extent. In summary, here are a few tips to radiographing obese patients. Use a grid and Increase the kVp and mAs. For plain film, change to a higher speed film if possible. On older equipment, a double exposure may be work for thick body parts such as an L-Spine that can’t penetrate with a single exposure as long as the patient doesn’t move and as long as a rough visualization is required but fine detail is not as important. Increase the kVp and increase mAs to reduce noise To increase the effective mAs, decrease the gantry rotation. In MDCT scanners with automated tube current modulation, changing the scanner from “Fixed mAs” to “Automatic mAs” will allow the scanner to determine the amount of mAs to deliver per body section. Both solutions increase image quality but subject the patient to a higher dose of radiation. If a patient’s body diameter or weight exceeds the equipment limitation, then serial abdominal radiographs and CT scans can be substituted. For mammography of patients with very large breasts, multiple cassettes may be required to fit the whole anatomy. Although a larger field of view is advantageous in imaging obese patients, there is an inverse relationship between field of view and image resolution: As field of view increases, image resolution decreases. One option is to use the smallest possible field of view to image the organ of interest without introducing wraparound artifacts. Some manufacturers offer a “No phase wrap” option to prevent wraparound artifact. Scanning times are also affected when imaging obese patients because their larger cross-sectional area and longer craniocaudal dimension require more slices. Increasing scanning times can lead to patient motion during scanning and, consequently, to motion artifacts. Use a body coil rather than a phased-array multicoil. Use saturation bands to decrease noise from subcutaneous fat. Pad the areas of the patient’s body that abut the bore to prevent minor burns on the skin where it abuts the gantry. Image quality is degraded in examinations of obese patients by the scatter of photons within the soft tissues, decreasing the SNR. Also, the dose needed for an obese patient may exceed the allowable dose, and the patient may not be able to receive the correct dose of radionuclide proportional to body weight. One approach is to use the maximum allowable dose and image for a longer time to maximize counts. Large patients also require higher doses of weight-based sedative medications, which puts them at risk for respiratory depression. Image quality can be improved by using the lowest frequency transducer available, positioning the transducer to image the organ of interest within the range of the focal length of the transducer, and examining the patient’s previous imaging examinations to determine the thickness of subcutaneous fat.